As a Catholic school, we know that the heart of Mercy is Jesus, so Christ-centered values are taught and lived across our curriculum. 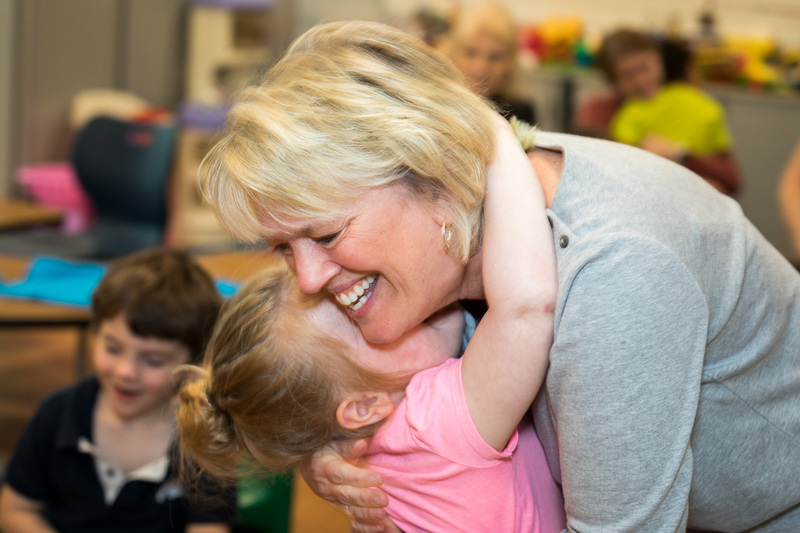 A primary focus is to respect and celebrate each individual as a unique child of God and to encourage students and staff alike to share their gifts and talents to bring God’s love to the world, especially to those most in need. The entire school family gathers for prayer at the beginning and end of each day. Mass is celebrated monthly with priests from the students’ parishes and from other parishes in the Diocese. Students serve in liturgical ministries as altar servers, lectors, cantors, intercessors and gift-bearers. Penance services and the Sacrament of Reconciliation are held before Christmas and Easter. Special activities and prayer services highlight the Liturgical Seasons. Using a variety of texts and materials, the classroom teachers present daily religion lessons and visit the chapel regularly. Mrs. Kaczmarek conducts liturgical music sessions for each class and also directs the Mercy Tone Chime Choir, which plays beautiful sacred and secular music for school liturgies, Diocesan events and community organizations. In addition, Mercy prepares students for the sacraments. Families are given the option of celebrating First Penance and First Holy Communion in their home parishes or at Mercy. Confirmation is held in the student’s home parish, with the Bishop presiding. 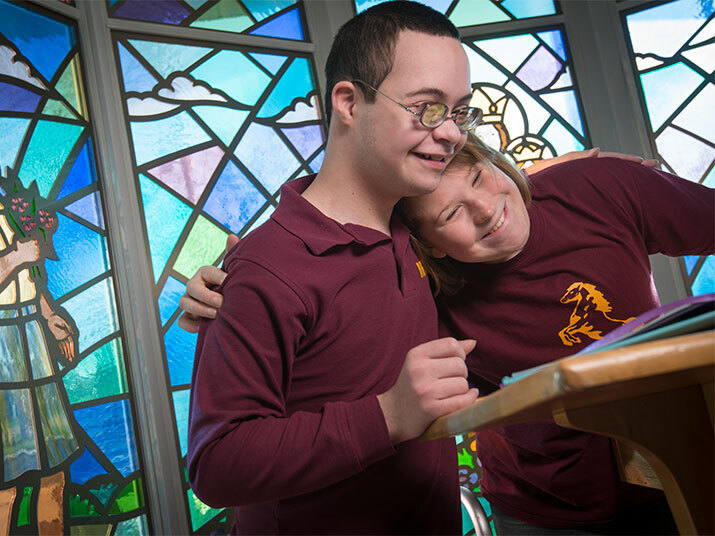 Mercy has the distinction of being the only school for students having intellectual and/or developmental disabilities in the United States participating in the Global High School Program through Catholic Relief Services. The entire school family gathers for prayer at the beginning and end of each day. Mass is celebrated monthly with priests from the students’ parishes and from other parishes in the Diocese. Students serve in liturgical ministries as altar servers, lectors, cantors, intercessors and gift-bearers. Penance services and Confessions are held before Christmas and Easter. Special activities and prayer services highlight the Liturgical Seasons, including our legendary Christmas Show and the Living Stations of the Cross acted out by our students. Using a variety of texts and materials, the classroom teachers present daily religion lessons and visit the chapel regularly. Mrs. Kaczmarek conducts liturgical music sessions for each class and also directs the Mercy Tone Chime Choir, which plays beautiful sacred and secular music for school liturgies, Diocesan events and community organizations. In addition, Mrs. Kaczmarek prepares students for the sacraments. Families are given the option of celebrating First Penance and First Holy Communion in their home parishes or at Mercy. Confirmation is held in the student’s home parish, with the Bishop presiding.